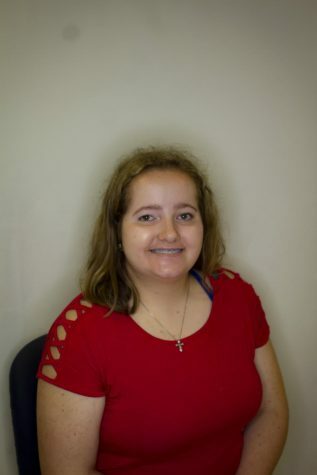 Caitlynn Cook is a junior at Lincoln Southeast High School and the Co-Copy Editor of The Clarion. She is a big fan of Chance the Rapper and the Green Bay Packers. She met Donald Trump on May 6, 2016. Currently, she works at Yogurtini Lincoln. After high school, she plans on majoring in Journalism and minoring in Criminal Justice at Concordia University, Nebraska. On Sundays, she teaches 2-year-olds in Sunday School at Lincoln Berean Church.